Fall is here and football season is in full swing. That means Sunday’s are reserved for being glued to the TV with pre-game, game time and post-game fun. I love everything about football – the weather (usually cool and crisp here in NY), the food, the fun of being with family. When I heard that Man Crates had new football-themed crates ready to ship, I was excited to try them out and add more fun to my Sunday mix! This is my second time around with Man Crates. 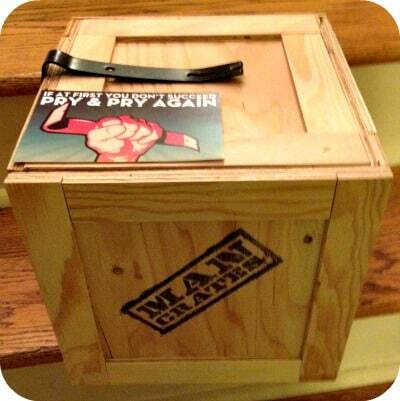 A few months ago I was fortunate to have the chance to review the Original Man Crate. From the moment it landed in my doorstep, I was a Man Crate convert! The packaging is like nothing I’ve ever seen before – a great breakaway from fluffy gift baskets. These wooden crates are a great gift – fun to open, and jam-packed with goodies. My husband especially likes the crowbar that’s included with each man crate – something about getting a tool in the mail that’s exciting to him! Man Crates are the perfect gift solution for the guys in your life because they’re filled with things guys like – beef jerky, chips, candy, beers, gadgets, footballs, portable grills, barware and video games. Another great option – if you don’t see a crate on their site that’s quite right, just shoot them an email and get a custom crate started. I received a Tailgate Supply Drop crate for review. My husband was so excited to break into it once it arrived. The Tailgate crate was crammed full of some great products – Red Vines, peanuts, two flavors of “Dirty” Chips, sunflower seeds, a cool little portable disposable grill, a generous serving of both ketchup and mustard and a tailgating essential, a little Nerf football! 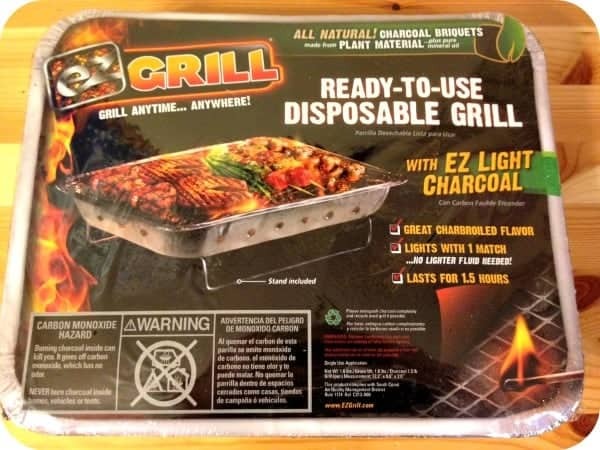 The great thing about the portable grill is that it’s pre-loaded with charcoal and ready to light right out of the packaging – no prep work, no lugging along a propane grill. It’s the perfect size for cooking up a few burgers and dogs on game day. This crate is the perfect gift for the football fan in your life – it’s original, it’s different, it’s fun, and most important of all, everything in it is yummy! The Tailgate Supply Drop crate retails for $59.99. You can see the full line of Man Crates on their website. 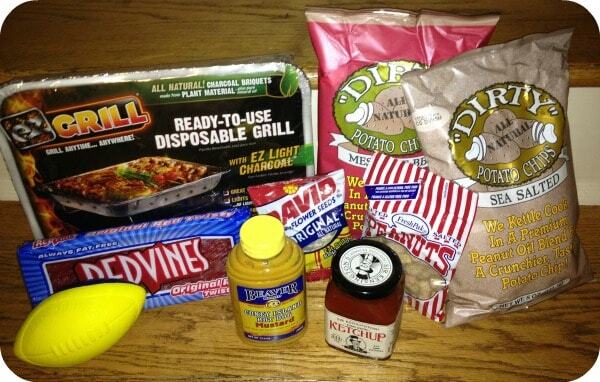 my hubby would love the outdoor survival crate! My favorite is the old school crate! I like the Old School crate. I would love the outdoor survivial crate! My hubby would love the Zombie Survival Crate (lol)! The Performance Sports Crate is my crate of choice! We would love the grillmaster crate. I love the Grill Master Crate! The Grill Master Crate is my favorite. i love the outdoor survival crate!